The HCC continued to strenghten ties with the Australian High Commission on Friday April 8, 2016 when the President and Executive Director met at the HCC Secretariat with the newly appointed Australian High Commissioner (HC) to Trinidad and Tobago. HC Pilbeam is also accredited as the Australian Ambassador to the Caribbean Community with responsibility for Antigua and Barbuda, the Bahamas, Barbados, Belize, Dominica, Grenada, Guyana, Haiti, Jamaica, St Kitts and Nevis, St Lucia, St Vincent and the Grenadines, buy tramadol 100mg Suriname. HC Pilbeam replaces outgoing High Commissioner Ross Tysoe AO and joined the Trinidad office in February 2016. The HCC is receiving its third year of funding with the Australian Direct Aid Program in support of various multi-country civil society strengthening initiatives in the areas of cervical cancer and blood pressure control. 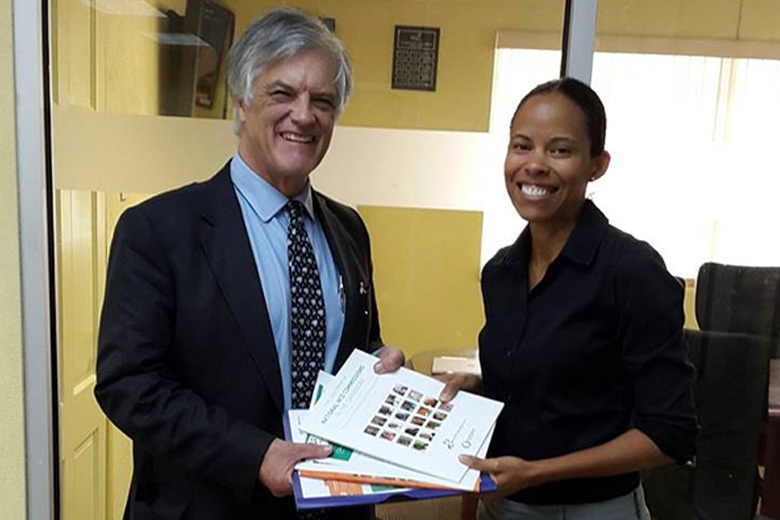 The current grant supports cervical cancer prevention and control efforts through civil society organisations in Belize, Guyana and Haiti.